The roof is what some homeowners consider a “stand alone” structure in the sense that you can leave it on its own without much care and maintenance. While it’s true that the roof is a sturdy structure that requires only periodic maintenance, it’s far from a maintenance-free structure. Tedrick’s Roofing, Inc., your local roofing contractor, explains why roof cleaning is vital to the long-term health of your roof. Leaves settling on the roof may seem harmless, but they can actually damage your roof and even cause leaks to form. As the leaves rot, they accumulate moisture, which then spreads throughout the surface of the roof. This in turn will have a negative impact on the weather resistance and long-term stability of the roof. Debris like twigs, branches and pine cones can also do considerable damage to the roof when not removed. As the wind carries them across the surface of your flat or low-pitched roofing system, they will scratch and even tear off the coating or clumps of the membrane roofing itself. Lack of regular roof cleaning can also cause the formation of stains and dark patches on the roof. These are often caused by algae and fungus that are attracted to dirty surfaces. While it’s often just a visual concern, mold can also be a health concern for sensitive individuals. Thankfully, you can avoid these risks and dangers by doing regular roof cleaning. You can actually do this on your own, such as getting rid of the leaves, twigs and debris off the surface of the roof. That said, for more intensive cleaning needs, you’ll want to work with an experienced contractor like us. 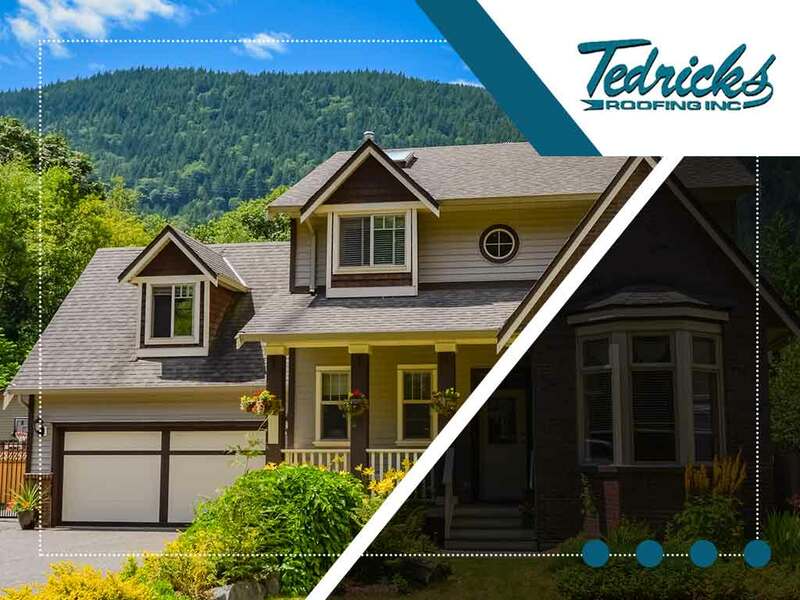 Whether you’re in need of roof cleaning or roof leak repair, Tedrick’s Roofing, Inc., is ready to assist you with all of your roofing needs. You may reach us at (877) 212-9355 and (253) 499-9660 to learn more about our services. We are a local roofing contractor in Auburn, WA.